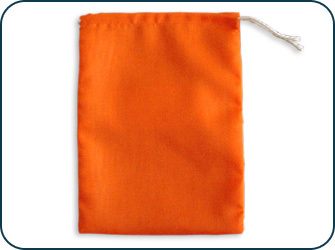 Orange Fluorescent Drawstring Bags | Packco Inc. These 90% Polyester/10% Rayon drawstring bags are side stitched to offer excellent strength. Great for storing or packaging anything that you want to STAND OUT. All sizes feature a single cotton drawstring, as pictured. The finish is similar to sateen, so they even make good looking gift bags or party favor bags. Coming Soon: Additional colors and sizes. Call (573) 392-2400 for details.